it just cant help breaking through. i love old Davies just as petre mais said we should love our great writers. 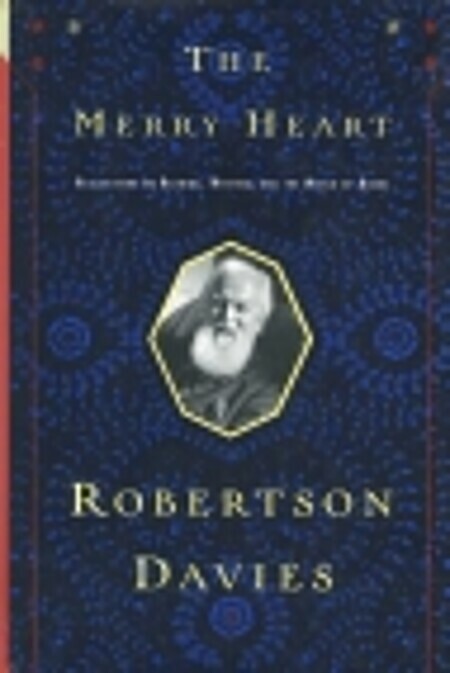 Robertson Davies had a merry heart and I'm sure meeting and listening to him was like a tonic. I never had that pleasure but I have certainly enjoyed reading his novels, his short stories and now this selection of speeches and essays he created from 1980 to 1995. His death on December 2, 1995 cut off any more creations but his wife, daughter and publisher pulled these together to give us one more book from beyond the grave. It seems that Davies was frequently asked to give speeches and addresses and reviews. Evidence from his diaries shows that he prepared carefully for these occasions and that he was far from confident about his delivery. This is not a man who took honours as his due; he believed in giving good value for the honorarium or degree or whatever was the quid pro quo. a truly great novel is a tale to the simple, a parable to the wise, and a direct revelation of reality to a man who has made it part of his being. In his essay called "Reading" which was given at Yale University in February 1990, Davies expanded on this notion. Telling a good tale is not simple work even if it is the simplest function of a novel; Davies contrasts the Sherlock Holmes stories with Virginia Woolf's books to illustrate this. Davies gave as an example of a book that was a parable the recently published book by Tom Wolfe: Bonfire of the Vanities. As to books that are a direct revelation of reality, Davies says that they will be different for different people. "One must find one's own great novels, which seem to illuminate and explain portions of one's own experience..."
Davies also reiterates the importance of reading poetry several times in his addresses. In fact he spent the whole 10 minutes he was allotted in giving a convocation address to students graduating from Dowling College in recommending that they read some poetry every day to nourish their "Innermost Self". And he wants them to reread the same poems "until you find that you are reading the poem without actually looking at the words. Hear every word in your head. Do not skim; do not read quickly, any more than you would play a piece of music absurdly fast on your hi-fi, simply to get it over with. Read, listen to, and savour the words, and the sense." Davies could be humourous as well as profound. There is a short piece about a fragment of a diary supposedly written by Stephen Leacock that shows the genesis for Leacock's story "Hoodoo McFiggin's Christmas". It skewers the literary intelligentsia perfectly. An entertaining set of essays on education, life, writing and other topics by a Canadian novelist.